For this long year, I am learning about Cyber Smart. Do you know what it means. Have you been Cyber Smart so far? It is really cool learning about it because you can get good and better at things. If you are not sure of what this fantastic word means, then why don't you study it? There is a lot more kinds of smarts that matches Cyber Smart. 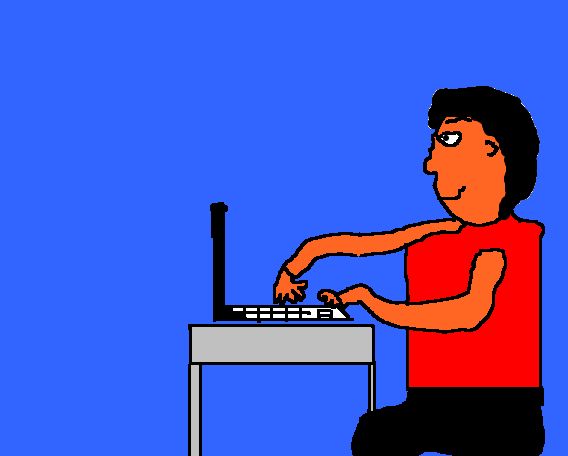 Well, there is legal Smart, I hope you like my picture I drew on Tux Paint. These questions at the bottom shows you the question we ask ourselves. 2. What am I sharing with others? That I can take responsibility of my own learning. 3. What impression of myself am I giving to others? I am giving a positive impression to others.